Reporter Kate Waters is back in Fiona Barton’s third novel! 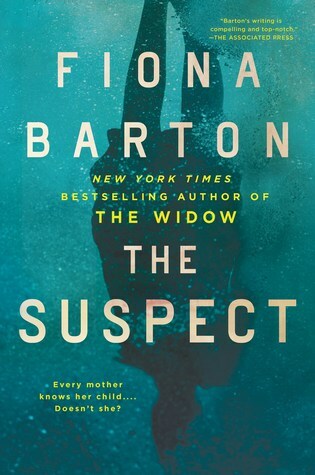 While this can definitely be read as a stand-alone, I recommend reading The Widow and then The Child beforehand because it will give you a great backstory on Kate’s personal life and work as well as her working relationship with Detective Bob Sparkes that I have enjoyed throughout the series. Every mother knows her child, doesn’t she? This is the question running through the minds of three mothers when the unthinkable happens and their children are involved. Two 18 year old’s are traveling in Thailand when they turn up missing. Coincidentally, Thailand is where Kate Waters’ son took off for in Barton’s last book, The Child. As the mothers and police go on a search for their children, they find out things about them they could never have thought were true. This was a wonderfully crafted mystery that kept me engaged through the last page. There were so many layers to unravel and bigger secrets and shockers were revealed at every twist and turn! Thank you so much to Berkley Books for an ARC copy of this book in exchange for my honest review! I also received an ebook via NetGalley. The Suspect will be published on 1/22!